Tokyo, Japan’s vibrant, cosmopolitan capital, seamlessly blends historic temples and verdant gardens with slick, glimmering skyscrapers. The Imperial Palace occupies the heart of the city, surrounded by sprawling Japanese gardens. Tall high-rises in the busy, thriving districts of Nihonbashi, Ginza and Marunouchi play hide-and-seek with the quaint alleys and traditional markets of historic neighborhoods. Between serene Buddhist temples, lively bars and nightclubs, classical art displays in the city’s museums, and stunning, panoramic views from the Tokyo Tower, Tokyo resolves to keep you busy all day (and night). Which is why returning to a luxurious hotel room at the end of your excursions is a good idea. Here are the 15 best 5-star hotels in Tokyo that you can consider staying at. Mandarin Oriental places you at a vantage point to discover, explore and immerse yourself in Tokyo. 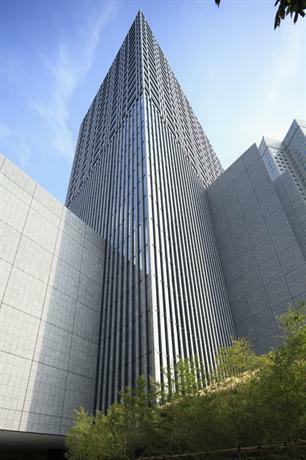 This 5-star hotel occupies the upper reaches of the iconic Nihonbashi Mitsui Tower. From here, it overlooks Nihonbashi, a historic neighborhood that presently serves as a thriving business district. Panoramic views from the hotel don’t end here; guests can marvel at the stunning Tokyo cityscape from their rooms, and the 37th floor glass-walled lobby even lets you glimpse Mount Fuji, subject to weather conditions of course. The interiors of the Mandarin Oriental reflect a fine balance of traditional and modern tastes, showcasing delicate Japanese leaf-motif fabrics, paper lanterns, bamboo screens and the polished modern finishes characteristic of a present-day 5-star hotel. The 178 city-view rooms and suites in the hotel have free Wi-Fi, flat screen TVs and minibars. Guests can order in-room massages, or spend a day at the spectacular spa. There’s a world of gastronomy to be explored at the Mandarin Oriental as well, thanks to its 10 restaurants, many of them studded with Michelin stars, together serving everything from French to Cantonese to molecular gastronomy. Between an indoor pool, a gym, and a business center, guests are well cared for at the Mandarin Oriental. To cap it all, the staff also takes the initiative of organizing sightseeing tours of Tokyo, helping you explore the quintessentially Japanese, culturally vibrant settlement right outside the hotel. 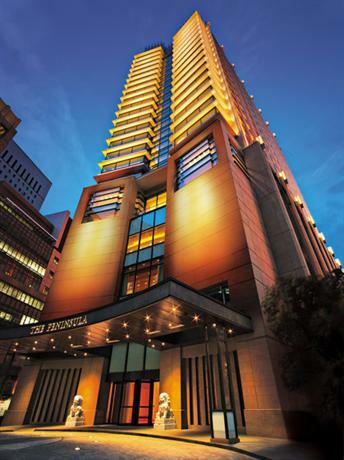 The Peninsula Tokyo enjoys a fantastic location right opposite the Imperial Palace, at one edge of the bustling Marunouchi business district, and well within walking distance of the shopping destinations in Ginza. The verdant expanse of the Hibiya Park extends outwards from the hotel, and a metro station by the same name faces it. The Peninsula building towers over the surrounding cityscape, as a lovely modern interpretation of a glowing Japanese lantern. Within it are 314 ultra-spacious rooms and suites sporting some of the most technologically advanced hotel room features in Tokyo. Their gorgeous views of the Imperial Palace Gardens and surrounding cityscape are complemented by their subtle, minimal but luxurious interiors, crafted by Yukio Hashimoto. Some premium suites have separate living rooms, balconies, and complimentary afternoon tea service. Afternoon tea is also served in the hotel lobby and is a major crowd puller. Dining options at the Peninsula Tokyo are diverse, ranging from traditional Japanese kaiseki at Kyoto Tsuruya, to a wide range of international fare at the top floor glass-walled bar and restaurant. The hotel spa, overlooking the Imperial Palace Gardens, has a heated pool and fitness center. Stellar service, synonymous with the Peninsula brand, is the icing on the cake. The Palace Hotel combines the very best of both worlds that symbolize Tokyo. On the one hand, its proximity to the vibrant shopping and business district of Marunouchi makes it a great base for a Tokyo holiday or business trip. On the other hand, its garden setting right opposite the Imperial Palace, gives it a tranquil, verdant aura that makes for an experience in itself. The Palace Hotel has been in existence for half a century now, though its original building was recently replaced by a sleek modern variant. The interior of the hotel is an exploration in understated elegance, punctuated by modern art and accents. There are 290 rooms and suites here, all airy, spacious, day-lit and finished in a white and light green color palette. 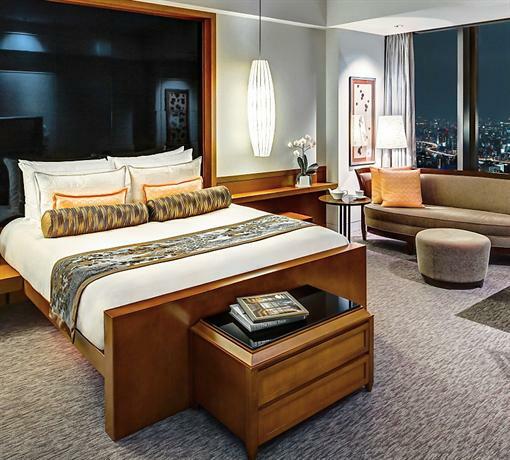 Luxurious linens, signature toiletries, and smart gadgetry create an atmosphere of modern opulence, which is further augmented by attached balconies and gorgeous views of the Imperial Palace Garden and the striking Tokyo skyline. Guests are entitled to 24/7 room service, though the 7 stylish restaurants within the Palace Hotel more than merit a visit. Also housed within the building are 3 glamorous bars, an extensive luxury spa, an indoor pool, a gym and a business center. The Imperial Hotel has enough history and character to transcend the usual labels associated with modern 5-star establishments. Its legacy dates back to over a century of hospitality, having received royalty, celebrities and prominent figures from around the world. It has also been involved in a constant tussle with war and natural disasters, which have caused the hotel to be rebuilt twice since its unveiling in 1880. Today, it continues to mark its place as a Tokyo landmark, and lives up to its historic standards of impeccable and discreet service. 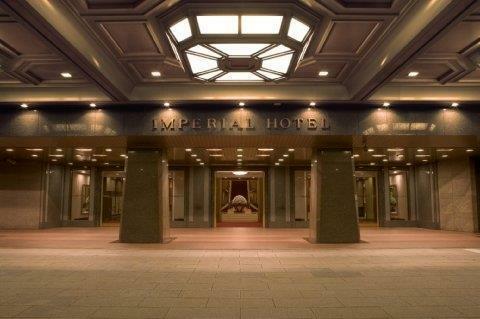 The Imperial Hotel Tokyo is conveniently located in the heart of the city, close to the Imperial Palace, Hibiya Park, and the shops, boutiques and eateries of the bustling Ginza district. Visually, it is an illustration of grandeur laced with understated elegance. Its impressive public spaces have marble floors, grand chandeliers and colonnades. Its atmospheric rooms have dark wooden furniture and charming accents complementing their mod-cons. Floors 14 through 16 have unique designer suites, front-lined by the Art Deco themed Frank Lloyd Wright Suite. Guests are entitled to 24-hour room service and in-room massages. The Imperial Hotel Tokyo has a formidable line-up of restaurants, bars and cafes, totaling to 17 in number. Afternoon tea service in the hotel lobby is another unique experience, enjoyed by hotel guests and Tokyo residents alike. Park Hyatt Tokyo might just be the most famous 5-star hotel in Tokyo, owing largely to its appearance in the Bill Murray & Scarlett Johansson starrer ‘Lost in Translation’. However, its celebrity status isn’t the only contributing factor. Housed in the upper floors of the iconic Shinjuku Park Tower designed by Kenzo Tange, it offers lovely views of Mount Fuji, and easy access to the Tocho Mae metro station and Yoyogi Park city garden. The interior of the hotel is a case study in modern sophistication, further augmented by panoramic views of Mount Fuji and the Tokyo cityscape. Its 177 refined rooms and 23 suites sport clean, minimal lines, glass walls offering stunning views, original artwork, and pale, neutral color palettes reinforcing the atmosphere of quiet sophistication. Suites have their own living rooms; some even have kitchenettes and private libraries. 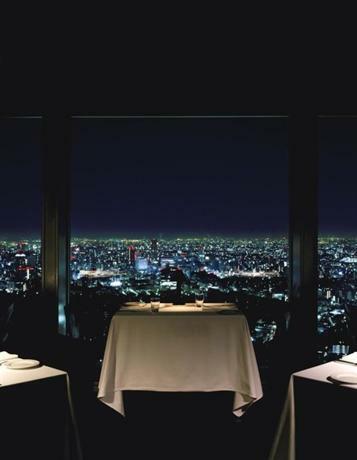 The top floor of Park Hyatt Tokyo houses the New York Grill, a restaurant with a food and wine menu to match its gorgeous skyscraper setting. For those in the mood for traditional Japanese delicacies, the cozier Kozue restaurant is a good bet. Afternoon tea is served in the Peak Lounge & Bar, which is also famous for its original cocktails. The hotel spa has hot tubs and saunas, and is flanked by a gym and an indoor pool. Housed in a sleek high-rise building overlooking Tokyo Bay, Conrad Hotel is right by the Shiodome and the Himarikyu Gardens, and just a short ride away from Ginza. 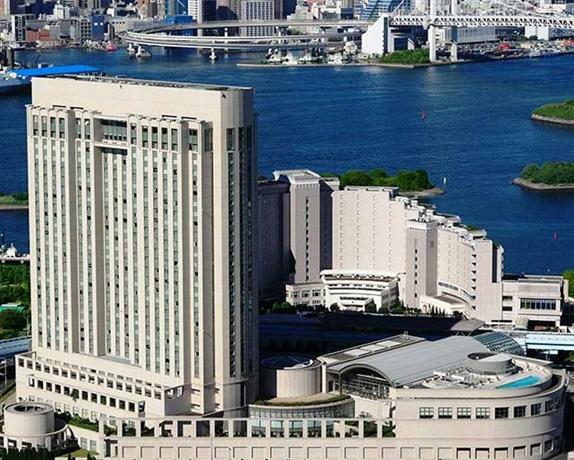 All 290 luxurious rooms and suites offer expansive views of Tokyo Bay and the skyscraper lined cityscape. They are supported by top-notch facilities including a luxury spa, the largest of its kind in Tokyo, and a 25 meter pool. The hotel also has a large 450-capacity events space, along with multiple dining options including the popular China Blue restaurant and a sophisticated bar. 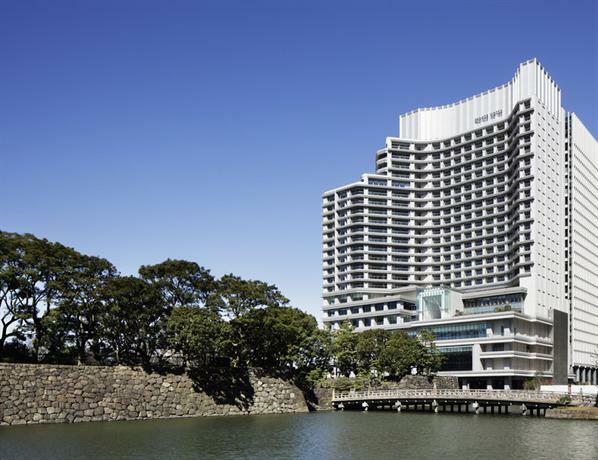 Conrad Hotel also offers 1-, 3- and 5-hour Tokyo sightseeing packages for visitors on a tight schedule. A stately hotel located in Tokyo’s political center, Capitol Hotel Tokyu has been in existence since the 1960s. Its new avatar, a sleek modern high-rise surrounded by greenery, mixes contemporary 5-star luxury with a distinctly Japanese essence. Staying here places you right opposite a metro station and about 2km from Tokyo Tower. Behind the modern glass façade of the hotel, are serene interiors, with paper lanterns and wooden screens in the 251 spacious rooms. All rooms have good city views, and some even give you a glimpse of the Prime Minister’s residence and the historic Hie Jinja shrine. Guests have a choice of 3 restaurants, an exclusive lounge, and a polished bar. A spa, hot tub, pool and fitness center are also available. 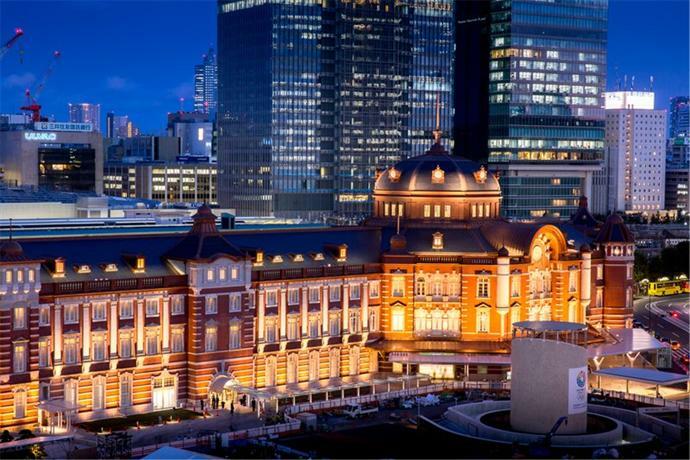 A charming Renaissance-style red brick building that’s part of the railway station complex, Tokyo Station Hotel is one of the most conveniently located hotels in the city. It is also one of the best destinations for some classic luxury, peppered with contemporary sophistication. Rooms here are high-ceilinged, airy, elegantly furnished and equipped with flat screen TVs, iPod docks, coffeemakers and free Wi-Fi. Premium rooms upgrade the ambience to an elegant ensemble of chandeliers, plush fabrics and views of the station or the palace. A range of luxurious multi-level suites have their own lounges. A charming atrium lobby lounge serves free breakfast. Guests can also dine at French and Cantonese restaurants at the Tokyo Station Hotel, enjoy evening cocktails at the bar, hit the gym, or unwind at the luxurious hotel spa. An upscale modern hotel with an intimate vibe, Four Seasons fits right into Tokyo’s bustling business district of Marunouchi. Its convenient location places it a few paces away from the railway station, and a short ride from the Imperial Palace and Ginza. The ambience here is exclusive, with just 57 boutique rooms and 9 suites on offer. Each of these is luxuriously appointed, with plush carpeting, warm lighting, floor-to-ceiling windows with lovely city views, and a fine range of gadgetry and amenities. Pristine white bathrooms are stocked with signature toiletries. 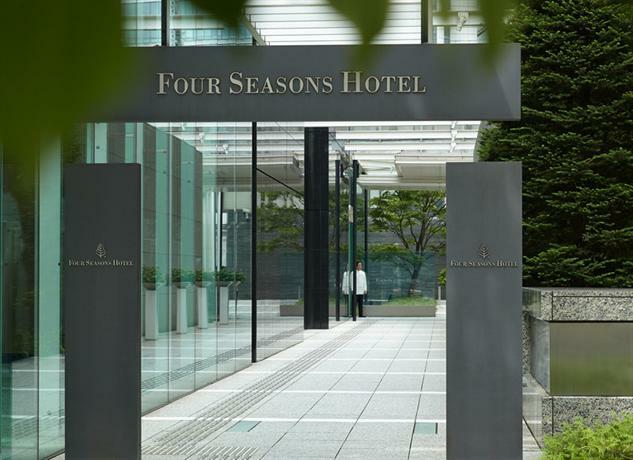 Dining options at Four Seasons Tokyo include the celebrated and elegant Motif restaurant on its 7th floor, the innovative menu at the Social Salon, and the relaxed Living Room that serves drinks, buffet lunches and afternoon teas. A cozy spa is also part of the hotel. 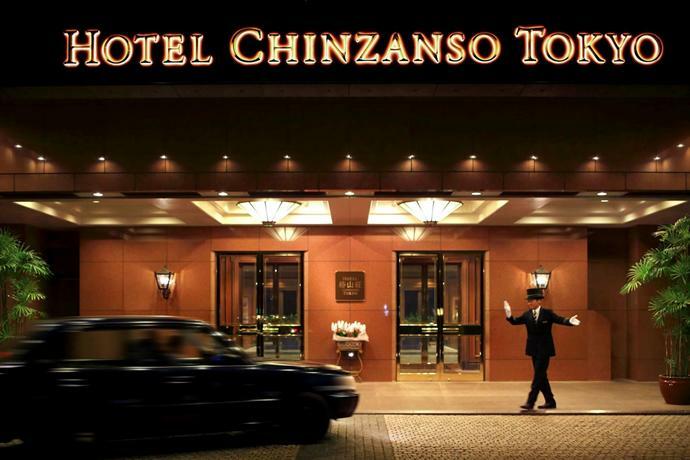 A unique oasis of tranquility and luxury in the heart of bustling Tokyo, Hotel Chinzanso is located in a lush garden complex in the Bunkyo ward, near Eisei Bunko Museum, Wasada University and Takadanobaba train station. Luxurious, Victorian themed rooms have plush furniture, gorgeous garden and city views, free Wi-Fi and premium mod-cons. Some have free perks such as spa access and breakfast. There are multiple dining options in the hotel, and outdoor event spaces in the beautiful and historic Japanese gardens flanking the building. 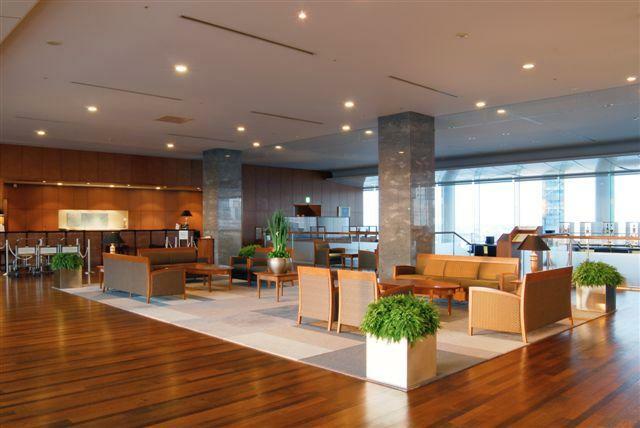 Odakyu Hotel Century Southern Tower is a business hotel overlooking the lively Shinjuku district of Tokyo. Within walking distance from Yoyogi train station, it serves as a convenient base for any kind of Tokyo holiday. The focus here is on no-frills comfort, and as such, the rooms maximize space, natural light, panoramic city views, and an efficient line-up of gadgets and mod-cons. Children under 11 years of age can stay free of cost in their parents’ rooms. The hotel offers room service and in-room massages, though guests can additionally step into the restaurants or the cozy bar on the premises. 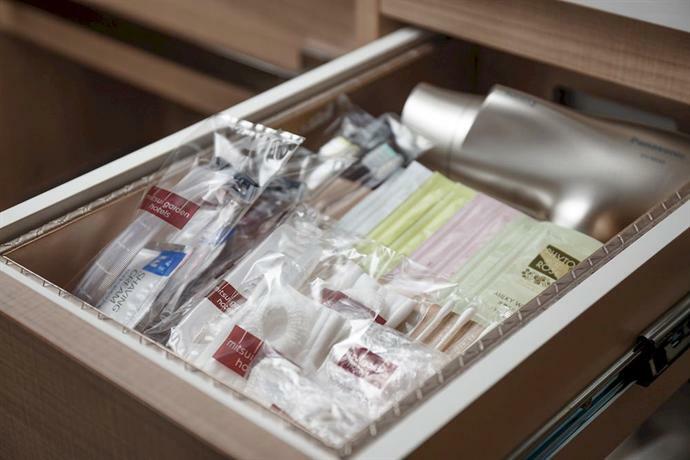 Odakyu Hotel also has an in-house convenience store. A luxury hotel that places you in the heart of culturally vibrant and fashionable Ginza, Millennium Mistsui Garden Hotel is housed in a sleek high-rise overlooking the iconic Kabukiza Theater. Its excellent location makes it a convenient base around which to organize your Tokyo tours. This flagship Millennium Hotel in Japan offers sophisticated modern rooms with free Wi-Fi, flat screen TVs, minibars and coffeemakers. Guests at premium rooms get DVD players and complimentary wine. The hotel has a stylish resto-bar with fusion cuisine and daily breakfast and lunch buffets. The Prince Park Tower is an upbeat, cosmopolitan hotel housed in a sleek high-rise set amid the greenery and flower gardens of Shiba Park. This well-connected hotel is within walking distance of the Tokyo Tower and 2 metro stations. 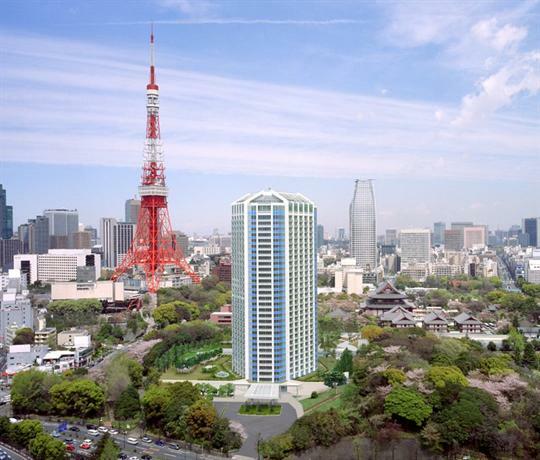 Its well-appointed rooms and suites are fully equipped with mod-cons, and offer exquisite views of verdant Japanese gardens, the iconic Tokyo Tower, and the glimmering skyscraper studded cityscape beyond. Facilities here include round-the-clock room service, a fitness center with an indoor lap pool, a bowling alley, as many as 7 dining options, and a swish top-floor bar. 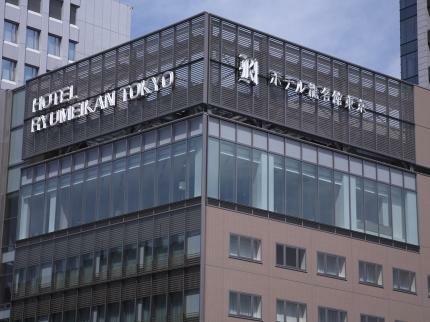 The conveniently located Hotel Ryumeikan Tokyo is nestled in the bustling business district and historic neighborhood of Nihonbashi. Tokyo Station is right around the corner, the Imperial Palace is a short walk away, and all other sightseeing destinations very accessible via metro lines. The interiors of the hotel are sleek, contemporary, and sprinkled with refreshing Japanese accents including futons and tatami mats in some rooms. The well-equipped rooms offer great city views, and a spacious suite has its own balcony. Guests can start their days with a traditional Japanese buffet breakfast served in the hotel restaurant. A Japanese tea room and coin operated laundry are also part of the building. An upscale hotel that gives you a unique perspective on Tokyo, Grand Nikko enjoys a great waterfront setting, a metro station right by it, the iconic Rainbow Bridge just a kilometer away, and the stunning Tokyo skyline presented in its full glory from across the water. Rooms and suites here have an air of relaxed sophistication, with elegant sitting areas, premium mod-cons, and lovely city views. Suite guests have access to the hotel’s executive lounge. There are 9 restaurants and bars in the Grand Nikko Tokyo, with cuisines ranging from traditional Japanese to Italian. A gym, spa, acupuncture center, outdoor pool, shops and meeting rooms are also available.